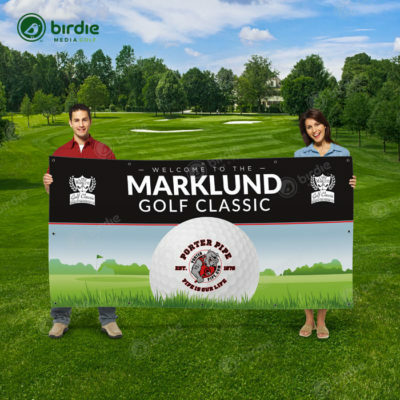 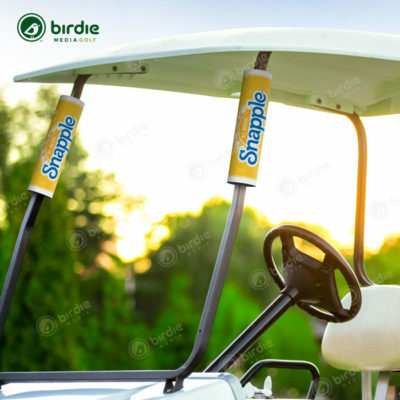 After “sinking” your putt you can’t help but notice our eye-catching Birdie Sinkers golf cup sponsor signage as you reach to retrieve your golf ball. 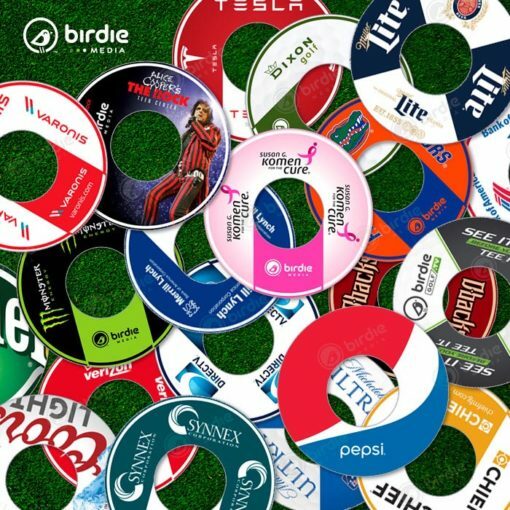 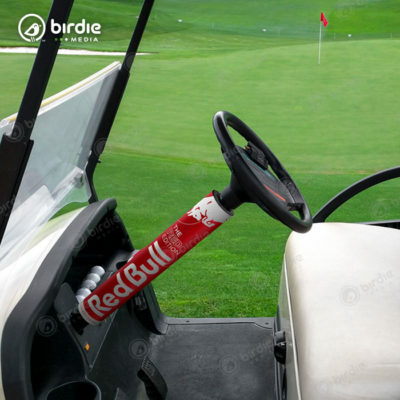 Place your brand at the ultimate point of golf tournament gratification – the bottom of the cup. 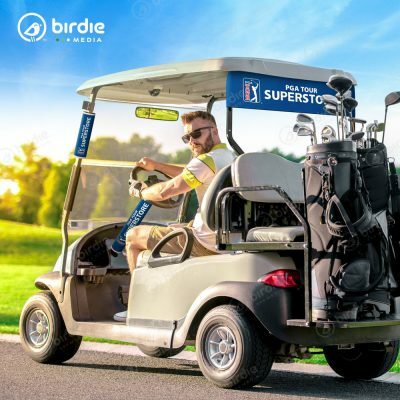 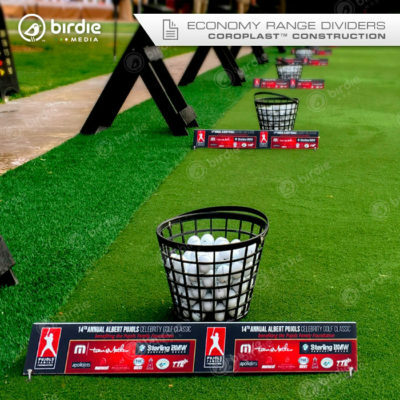 Players are sure to spot your message using this unique form of golf course advertising. Sponsors love this subtle but powerful method of advertising and golfers find them memorable long after the event concludes. Birdie Sinkers are constructed of rigid 1/8″ (3mm) Dibond® made up of a black solid plastic core flanked by two (2) aluminum outer layers. 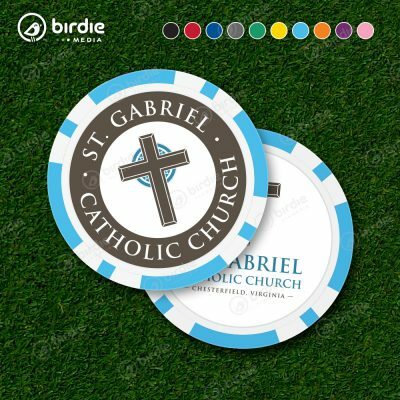 Dibond® is both rustproof and waterproof making it an excellent choice for outdoor signage on the golf course. 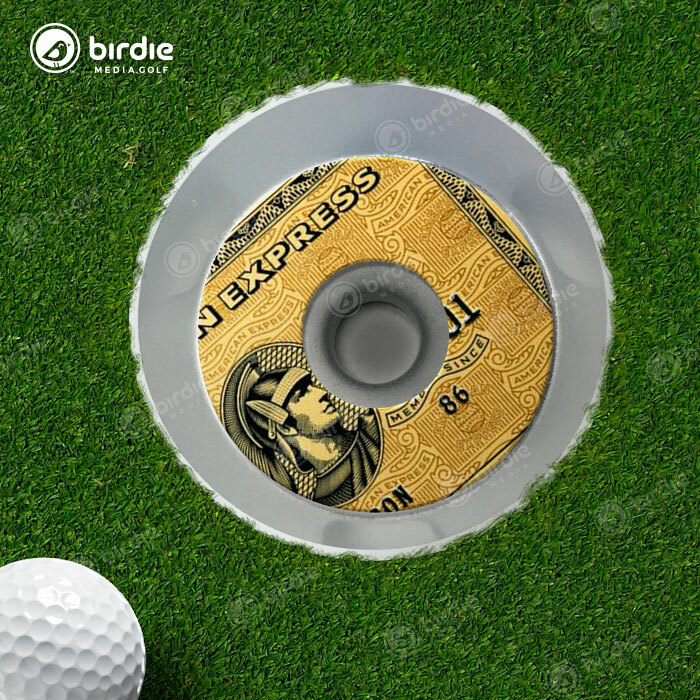 After your event, makes a great office coaster! 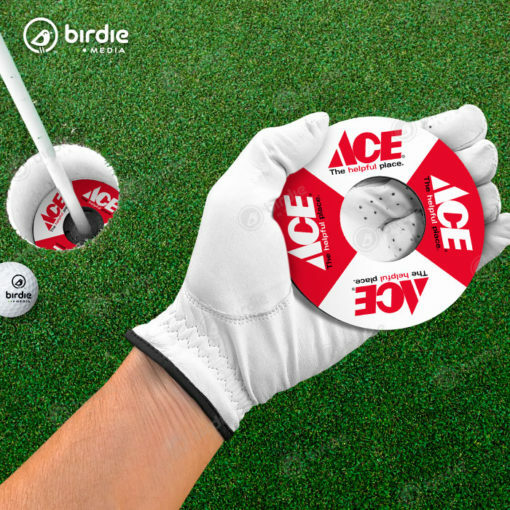 *Note: You may use one (1) logo/design per nine (9) Sinkers ordered. 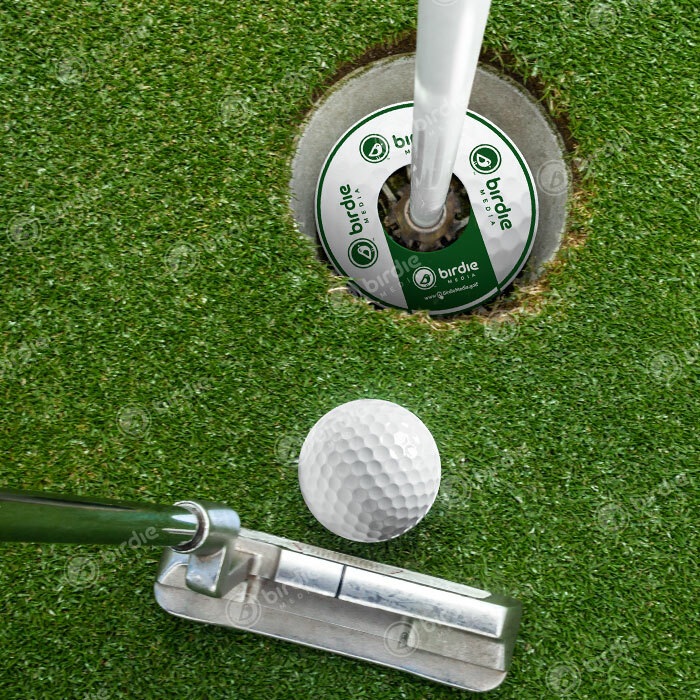 An additional $50 setup fee will be assessed for Sinkers using logos/designs that vary from one to the next.